The three-wheeled "motorcycle" that some states refuse to title as a motorcycle, in part because it works like a car, is unsafe to drive because of a problem with its very car-like steering assembly. Polaris, also the maker of Victory and Indian motorcycles, told owners of its Slingshot to "please refrain from operating your vehicle" because of a problem with bearings in the steering assembly that could cause steering failure. 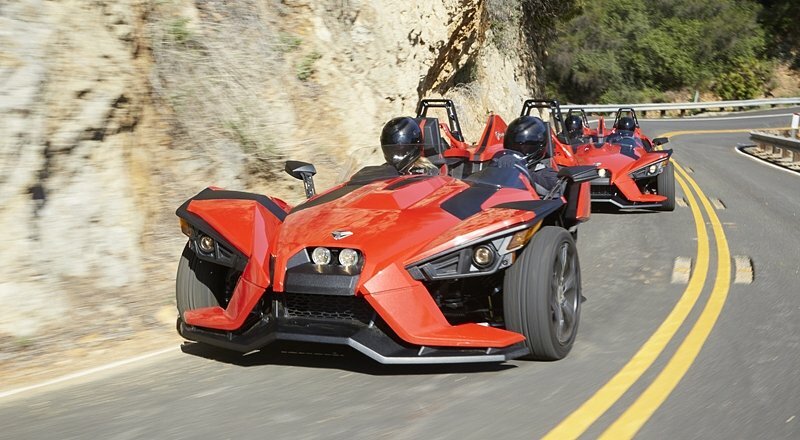 Polaris Vice President Mike Jonikas posted a letter on a Slingshot forum, apologizing for the problem and also noting that there are separate problems with the roll hoops on some vehicles. Jonikas told owners that they should contact dealers to schedule repairs "starting on Wednesday, January 22" and that parts would be available to dealers as soon as "Thursday, January 22." So it appears January 22 is going to be a very long day for Polaris, in more ways than one — perhaps as long as 48 hours. The safety issue follows legal problems for the Slingshot in states such as Texas, Indiana and Connecticut, which have refused to title and register the vehicle as a motorcycle because it does not meet the definitions in state law.